You’ve probably cooked up your own version control system without realizing it had such a geeky name. Got any files like this? (Not these exact ones I hope). Make a single backup copy (Document.old.txt). We may even use a shared folder so other people can see and edit files without sending them over email. Hopefully they relabel the file after they save it. Our shared folder/naming system is fine for class projects or one-time papers. But software projects? Not a chance. Do you think the Windows source code sits in a shared folder like “Windows2007-Latest-UPDATED! !”, for anyone to edit? That every programmer just works in a different subfolder? No way. Short-term undo. Monkeying with a file and messed it up? (That’s just like you, isn’t it?). Throw away your changes and go back to the “last known good” version in the database. 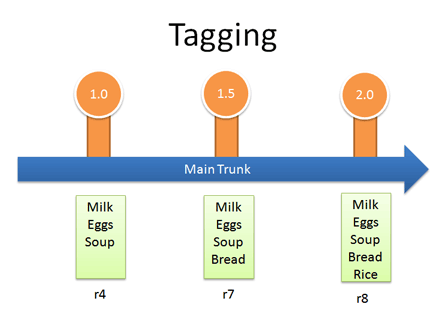 Trunk/Main: The primary location for code in the repo. Think of code as a family tree — the trunk is the main line. Branch: Create a separate copy of a file/folder for private use (bug fixing, testing, etc). 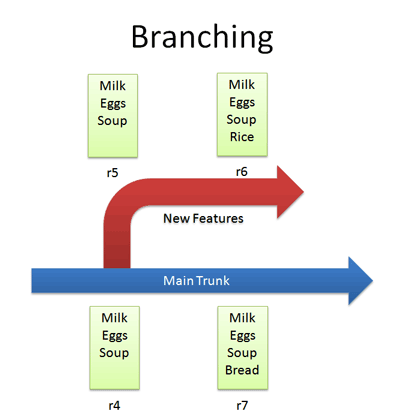 Branch is both a verb (“branch the code”) and a noun (“Which branch is it in?”). Locking: Taking control of a file so nobody else can edit it until you unlock it. 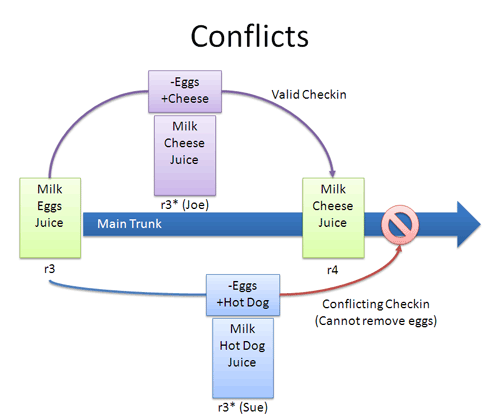 Some version control systems use this to avoid conflicts. Breaking the lock: Forcibly unlocking a file so you can edit it. It may be needed if someone locks a file and goes on vacation (or “calls in sick” the day Halo 3 comes out). Alice adds a file (list.txt) to the repository. She checks it out, makes a change (puts “milk” on the list), and checks it back in with a checkin message (“Added required item.”). 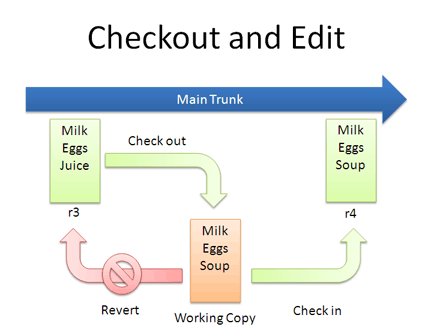 The next morning, Bob updates his local working set and sees the latest revision of list.txt, which contains “milk”. He can browse the changelog or diff to see that Alice put “milk” the day before. This guide is purposefully high-level: most tutorials throw a bunch of text commands at you. Let’s cover the high-level concepts without getting stuck in the syntax (the Subversion manual is always there, don’t worry). Sometimes it’s nice to see what’s possible. svn ci list.txt -m "Changed the list"
Diffs help us notice changes (“How did you fix that bug again?”) and even apply them from one branch to another. 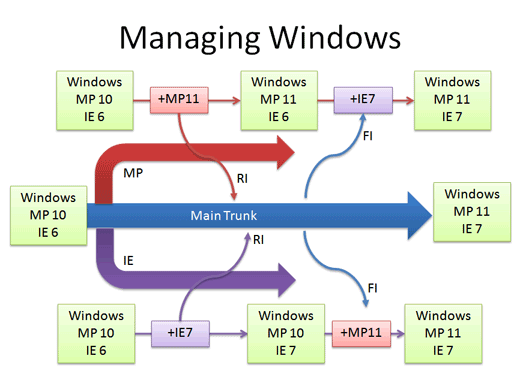 We guessed that Windows was managed out of a shared folder, but it’s not the case. So how’s it done? Let’s say we’re at Media Player 10 and IE 6. The Media Player team makes version 11 in their own branch. When it’s ready and tested, there’s a patch from 10 – 11 which is applied to Main (just like the “Rice” example, but a tad more complicated). This is a reverse integration, from the branch to the trunk. The IE team can do the same thing. Use version control. Seriously, it’s a good thing, even if you’re not writing an OS. It’s worth it for backups alone. Take it slow. I’m only now looking into branching and merging for my projects. Just get a handle on using version control and go from there. 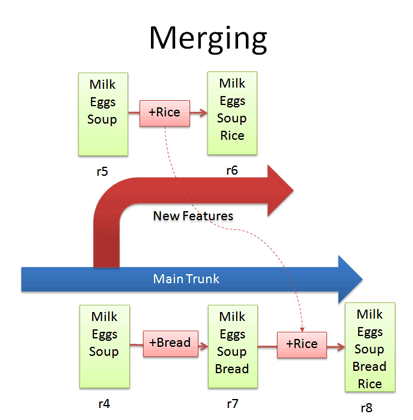 If you’re a small project, branching/merging may not be an issue. 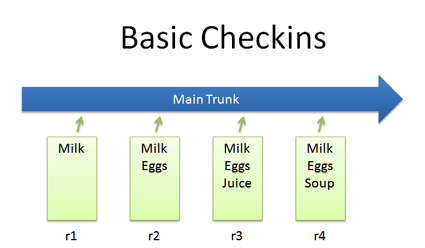 Large projects often have experienced maintainers who keep track of the branches and patches. Keep Learning. There’s plenty of guides for SVN, CVS, RCS, Git, Perforce or whatever system you’re using. The important thing is to know the concepts and realize every system has its own lingo and philosophy. Eric Sink has a detailed version control guide also. These are the basics — as time goes on I’ll share specific lessons I’ve learned from my projects. Now that you’ve figured out a regular VCS, try an illustrated guide to distributed version control.